To assess the efficacy of cyclosporine (CsA) in patients of oral steroid unresponsive or steroid dependent systemic juvenile idiopathic arthritis (sJIA); to evaluate the optimum dosage and blood level of CsA to achieve and maintain remission and to observe for side-effects on prolonged usage. 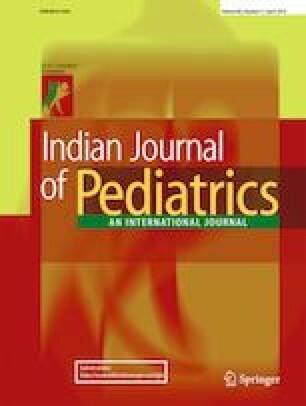 This prospective observational study was conducted on children with steroid dependent /refractory sJIA admitted at the Institute of Child Health, Kolkata from July 2009 through November 2014. A total of 82 sJIA was diagnosed; 15 were steroid dependent /refractory and were included as candidates for cyclosporine therapy. CsA was used in 15 patients; 13 showed a favourable response with significant steroid sparing effect and minimal toxicity. CsA was found to be effective in almost 75% of frequently relapsing steroid dependent sJIA to achieve and maintain remission. The average cost of therapy for a 20 kg patient on CsA was found to be 10,000 INR (132 EURO)/ patient over a 6 mo period; which would amount to 100,000 INR (1318 EURO)/patient with Tocilizumab for the same duration. PP conceptualised the project. Both PP and PPG were involved in patient management and data collection. All three authors drafted the manuscript. Prof. Apurba Ghosh, Director, Institute of Child Health, Kolkata will act as guarantor for this paper.